Responsible Mom and Aunt, originally uploaded by bill kralovec. Yesterday we visited Kovačević Wine Cellar located in the village of Irig, which is about 70 kilometers north of Belgrade. The village lies in the Fruška Gora National Park. Fruška Gora means “Frankish Mountain” in English. It is a region of hills that are in the middle of the flat plains of Vojvodina. The hills were a natural frontier of the Frankish Empire back in the 400s. I prefer the Roman name for the area, Fertile Mountain because it is a great region for growing grapes. The Franks have not been around in a long time. Besides wine, Fruska Gora has some hiking and 12 Serbian Orthodox monasteries, and we will come back again for those. We found the address of Kovačević in a guide to the wines of Serbia and it was recommended to us by friends. It is not the vineyards and elegant tasting experience of the wineries we went to in Australia, but a nice experience nonetheless. There is no sign in front and so we went around the side of the building. 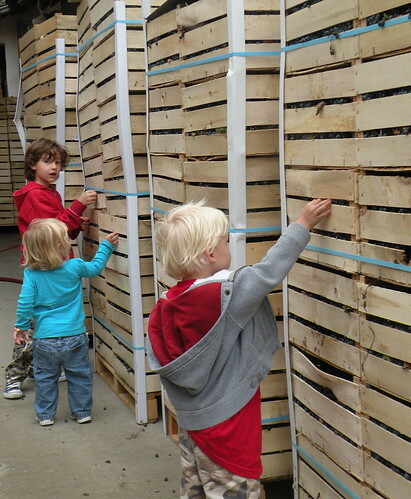 The workers were busy with crushing the grapes and the kids got to see the process of fermentation and storage. I was most excited to try the Bermet, which is a type of wine only produced by the Fruska Gora wineries. It is a strong dessert wine, that is infused with herbs and spices. It used to be very popular with the Austro-Hungarian royalty and it was on the wine list of the Titanic. Today, it is not known outside of Serbia. We liked both the white and red versions of the Bermet. We bought two bottles of the red. We also liked the Aurelius, a mix of Cab Sav and Merlot, aged in the barrels below. 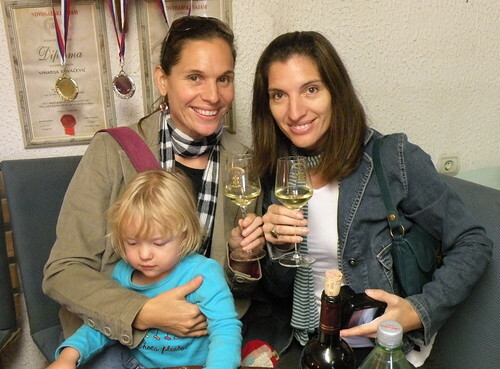 Nadia also bought a Rajninski Reisling and Chardonnay. I also liked the Reisling, which had tones of green apples. We will be visiting the region again! After the winery, we had dinner in Novi Sad and walked around the beautiful old part of town. The highlight of the day however was not the sightseeing, but just spending time with the kids. 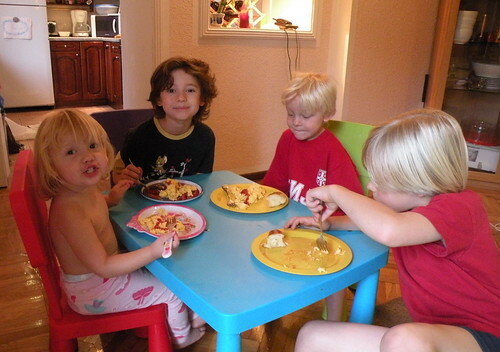 Below they are eating another of my delicious breakfast entrees. It is good also to have my nephew Sebey visiting us. ← Serbia Qualifies For The World Cup! !